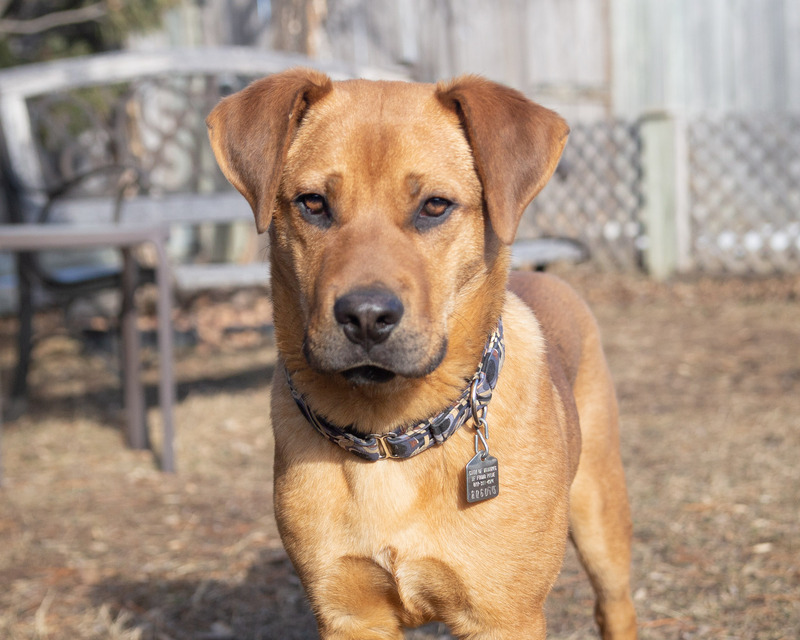 Odin, our foster pup, has been with us for almost 4 weeks. We kind of expected fostering to be challenging but what we did not expect is the support and kindness being shown to us by others. With social media being what it is, the news that we were caring for Odin travelled fast. Many have been quick to offer their support and good wishes. Into our first week, I received a facebook message from my friend Pauline. She had recently lost her two dogs and was wondering if we would accept their Kuranda dog bed for Odin. Oh my gosh, how generous is this! 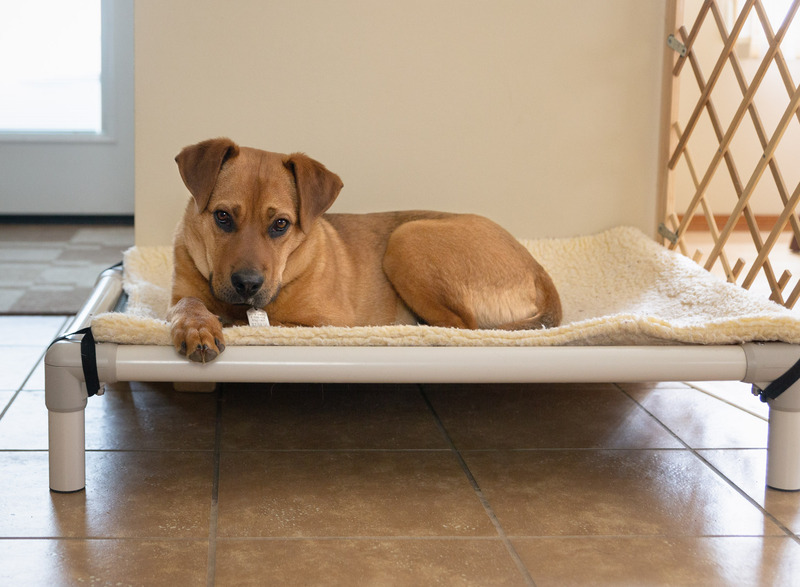 It turns out that Odin loves this bed and it will travel with him when he finds his forever family. Thank you Pauline, so very much! We have found that Odin loves bully sticks. I love them too as it keeps him occupied and gives us all some quiet time. On my way home from Animal Services last week I stopped in at Leo & Co Pet shop to replenish our supply. Stacey, the proprietor, and I first met about 4 years back when I photographed her two beautiful dogs, Leo and Remington. We got to talking and I mentioned that I was thinking of getting Odin a martingale collar. Did she have any for sale? “Just a sec,” she said as she stepped into the back room and come out with a cloth martingale collar. “Will this work?”. Her beautiful Great Dane pup, Denver, had outgrown his and she wanted to donate it to Odin. Well… not only does this work… it fits perfectly! Thank you Stacey! Thank you Denver! This week I contacted a local dog trainer to see if Odin and I could attend some of her puppy socialization classes. I was hoping to drop in and pay as we go as I am not sure how long Odin will be with us. I am not even sure if Odin has the confidence to participate but my thought was, that even being an observer would benefit him. And I really think he would enjoy the other puppies. Wow!! is all I can say. So… next Tuesday Odin and I will be attending the Puppy Socialization classes at Tess’s Dog Training. To say I am happy and excited for our boy is an understatement. Thank you Ashley! There really are so many good people out there… bless your kind hearts. Some yard time with Lacie and Odin. He tends to hide in amongst the trees but as long as Lacie is out there... so is he. He cries when she leaves with one of us to go for a walk. :) I wish he was able to go for a walk but he is not quite there yet.